CLICK HERE to go straight to our donation page. Two of us are cycling 1,200km in 9 days to raise money to save children’s lives. 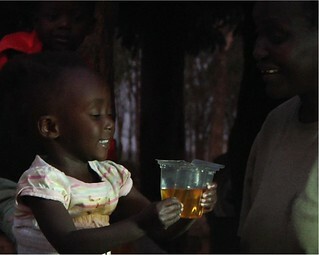 Our target is to raise £6,000 and this will kickstart the spreading of the ColaLife success to other African countries. Follow the ride build-up and progress on our Facebook Group. The second biggest killer is dehydration from diarrhoea. Diarrhoea kills as many children as Malaria and HIV/AIDS combined. We have known how to treat diarrhoea for more than 30 years. Oral Rehydration Salts (ORS) were invented in the 1980s. There has been an international standard for treatment in place for 13 years. This is a WHO/UNICEF standard and consists of Oral Rehydration Salts (ORS) and Zinc supplementation. Yet, less than 1% of children are receiving this treatment (ORS and Zinc). Access to the treatment is the remaining barrier and our approach removes this. ColaLife is a ‘game-changer’. In the last six years we have saved an estimated 1,000 lives. That’s 30-40 classrooms full of children! When we started in Zambia, fewer than 1% of children received the WHO/UNICEF recommended treatment for diarrhoea. Today our treatment kit – called Kit Yamoyo – is available nationwide in all the major supermarkets in Zambia and in 2,000 small community shops. Kit Yamoyo is manufactured and promoted locally. Soon, ColaLife will be able to withdraw completely and Kit Yamoyo will be self-sustaining and saving lives forever. Your support will provide the kick-start funding we need to transfer the learning and approach in Zambia to other countries and embed self-sustaining, life-saving activity there too. Please give to support the work of ColaLife and help stop children dying from diarrhoea.